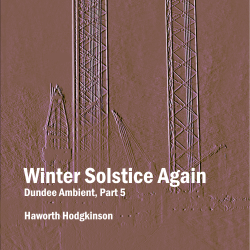 Winter Solstice Again is the fifth and final part of my Dundee Ambient project, which I have been working on since the beginning of 2015. The five parts, released as separate albums, may be heard as five distinct pieces, reflecting the changing seasons in a fixed landscape – not necessarily in Dundee – or they can be heard as one long six-hour stretch of music reflecting the course of a night's sleep, sometimes peaceful, sometimes disturbed by dreams. Whether they are listened to individually or in sequence, by night or by day, with full attention or whilst sleeping or doing something else... these are all decisions for the listener to make. Generally, the solstices are times of stasis, the still turning points of the year, or the times of the most restful sleep, whilst the equinoxes are times of change or of restless dreaming. 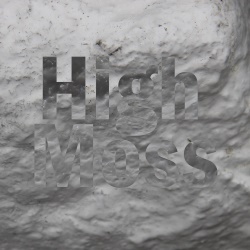 Part 4, Autumn Equinox, ended with the most disturbed nightmare in the whole of Dundee Ambient, so Part 5 spends its first couple of minutes re-establishing a sense of calm before the gently breathing and pulsing drones lead us into peaceful sleep once again. This restful sleep continues, with hints of dreaming, for most of Part 5, then towards the end the dreaming stops and we descend into the deepest sleep of all. The pulsing slows to the point where the music is almost completely static, and the breathing fades gradually to silence. As we reach the end of the Dundee Ambient journey, maybe I should say something about the bell sounds that punctuate the entire sequence. When the first part was released I decided I would not say anything about these until someone else mentioned them, and it wasn't until after Part 3 was launched that a listener commented. There are 147 bell strokes (3x7x7), distributed unequally through the parts, with 49 in Part 1, 14 in Part 2, 21 in Part 3, 14 in Part 4 and 49 in Part 5. They form a slow melody that gradually unfolds throughout the sequence. Sometimes they are widely spaced – at one point in Part 2 there is a gap of an hour between bells – sometimes they appear individually and sometimes in groups. There are six bell pitches in the solstice sections, with a seventh pitch added in the equinoxes. A further pitch an octave below the highest bell appears only once at the very end of Part 5, so that although in the final minutes we seem to have reached a point of stasis, the very last sound we hear is something new.